The Corrigan family owns and operates the 2,100-acre Basin 22 Mitigation Bank in Indian River County, Florida. The bank provides State and Federal freshwater herbaceous and forested wetland mitigation credits in Indian River, St. Lucie, and Brevard Counties. The service area encompasses HUC Codes 0308020303 (St. Sebastian River – Vero Beach Main Canal Front), 0308020203 (Kid Creek – Indian River Frontal), 0308020302 (Fort Pierce Inlet – Indian River). The bank is in good standing with the U.S. Army Corps of Engineers and the St. John’s River Water Management District. Designed, restored and managed at an ecosystem or landscape level, BRMB has become one of Florida’s most ecologically-diverse banks, with a 2,695-acre ecosystem featuring 20 native plant communities (2,545-acres of 14 wetland types and 150 acres of 6 upland types). Sitting astride a “South Florida continental divide”, approximately 60% of the bank is part of the Greater Everglades Ecosystem/Watershed and the rest of the bank is part of the St. Lucie River-Eastern Flatwoods/Indian River Lagoon Ecosystem/Watershed. BRMB’s Perpetual Adaptive Management Program, executed entirely in-house, features an industry-leading Fire Ecology Plan which insures that all of the bank’s acreage experiences the numerous optimal benefits of prescribed burning while the Program’s Exotic Plant and Animal Control Plan, Climate Change Adaptive Response Plan, Listed Species Management Plan and Native Wildlife Comprehensive Plan insures that all of the bank’s ecosystem services and structures continue to prosper in perpetuity. Also, BRMB is also home to one of the State’s most important Seminole Wars Historic Sites – Fort Van Swearingen – which is protected by the Bank’s Historic Preservation Plan. Providing an abundant quantity of state and federal credits, along with listed species mitigation (Wood Stork, Caracara and other species on a case-by-case basis) for development impacts in in St. Lucie, Martin, Okeechobee and Indian River Counties. The Boarshead Ranch Mitigation Bank is located on 1,544 acres in Pasco County. The bank site is an extension of the Hillsborough and Withlacoochee Rivers’ floodplains and consists of a mosaic of forested wetlands and herbaceous marshes that grade into a flatwoods landscape setting. Boarshead Ranch Mitigation Bank offers both state and federal freshwater forested and herbaceous credits that offset impacts within the Withlacoochee and Hillsborough River Basins. The Boran Ranch Mitigation Bank is a 403 acre wetland restoration project located in Desoto County, Florida. Together with the Peace River Mitigation Bank, the Boran Ranch Mitigation Bank provides state and federally approved freshwater forested and non-forested wetland credits throughout the Peace River subbasin (HUC 03100101). Colbert-Cameron Mitigation Bank (CCMB) is a 2,600 acre mitigation bank permitted to offset impacts for projects located in North & East Orange County, Seminole, Volusia, Osceola and Brevard Counties. Its service areas include drainage basins 18, 19, 23, and part of 20, in the St. Johns River Water Management District. CCMB is also permitted to offset RHPZ impacts for select projects. Mitigation Bank credits are available to offset unavoidable wetland impacts that are located within its service area with RATIO credits (State) and M-Wrap credits (Federal). The Everglades Mitigation Bank is owned and operated by Florida Power & Light Company. The bank is over 13,000 acres of historic eastern Everglades in southern Miami-Dade County and is strategically located between two national parks. The bank has both state and federal credits that offset impacts to freshwater herbaceous, freshwater forested and coastal saltwater wetlands. The service area includes Miami-Dade, Broward and part of Palm Beach County. State saltwater credits are also accepted in Monroe County. Miami Corporation owns and operates the 23,000-acre Farmton Mitigation Bank (FMB) in Volusia and Brevard Counties, Florida. FMB was permitted in 2000 by both the St. Johns River Water Management District and the US Army Corp of Engineers. FMB’s state service area includes Basin 17 (Halifax River), Basin 18 (St. Johns River (Canaveral Marshes to Wekiva)), Basin 19 (Econolockhatchee River Nested), Basin 23 (Lake Jesup) and parts of Basins 14, 16, and 20. FMB’s federal service area includes all or significant portions of the freshwater Upper, Middle and Lower St. Johns River Basins, Lake George Basin and the Northern Coastal Basin. The 1,891-acre Lake Swamp Mitigation Bank, operated by Lake Swamp, LLC, is located in Flagler and Volusia Counties, Florida. It is a UMAM-permitted bank that is in good standing with the St. Johns River Water Management District and the U.S. Army Corps of Engineers. Habitat restoration, enhancement and preservation provided by Lake Swamp are used as the basis for establishing credits to offset wetland impact. The Bank is named after the most significant on-site water resource. The wetland system associated with this regionally significant mitigation bank extends into Groover Branch, a small creek that widens into a waterway leading to the Little Tomoka River. The bank provides forested freshwater wetland mitigation credits in SJRWMD Basin 17 (Halifax River), which encompasses portions of Flagler and Volusia Counties. The federal service area extends farther north and includes most of St. Johns County. The Missing Link Mitigation Bank is a 418.50 acre conservation area in the process of being established to provide compensatory mitigation for wetland impacts located in the Southern Ocklawaha River and Palatlakaha River (Nested) basin. The Bank consists of mixed wetland hardwoods, cypress domes and strands, wet prairies, wet flatwoods, and upland pine flatwoods. The Missing Link Mitigation Bank will have palustrine forested and palustrine emergent credits available approved by the U.S. Army Corps of Engineers (Corps). The Missing Link Mitigation Bank will also have freshwater forested and freshwater herbaceous credits available approved by the Southwest Florida Water Management District (SWFWMD) and the St. John’s River Water Management District (SJRWMD). The Old Florida Mitigation Bank is a 1,093 acre wetland restoration project located in Pasco County, Florida where an old pasture was restored by filling a large drainage ditch, introducing controlled fires, and reestablishing native wetland plants. Together with the Upper Coastal Mitigation Bank, the Old Florida Mitigation Bank provides state and federally approved freshwater forested and non-forested wetland credits throughout the Crystal-Pithlachascotee subbasin ( HUC 03100207). Panther Island Mitigation Bank is one of the premier wetland restoration projects in Southwest Florida. The fully restored Panther Island lands will be preserved in perpetuity through a conservation easement and a long-term stewardship trust fund which will be managed by Corkscrew Swamp Sanctuary and owned by The National Audubon Society. Located contiguous with portions of the Corkscrew Regional Eco-System Watershed (CREW) and Save Our Rivers (SOR) lands, Panther Island provides significant regional wetland restoration enhancement, benefiting both freshwater wetland systems and wildlife habitat in the CREW lands. The total Mitigation Bank site is 4,471 acres; and when completed will have generated a total of 1,521 mitigation credits for the work done on the restoration, enhancement, preservation and perpetual management of the entire bank site. Panther Island offers freshwater forested and herbaceous wetland credits along with listed species mitigation (Wood Stork, Florida Panther and other species) for development impacts in in Lee, Collier and Hendry Counties. The Mitigation Service Area for Panther Island is primarily contained within the SFWMD’s Estero Bay, East Collier, and West Collier Basins. The Peace River Mitigation Bank is a 487 acre mitigation bank in Hardee County, Florida and is known for its picturesque scenery of the Peace River surrounded by beautiful trees. Together with the Boran Ranch Mitigation Bank, the Peace River Mitigation Bank provides state and federally approved freshwater forested and non-forested wetland credits throughout the Peace River subbasin (HUC 03100101). Westervelt Ecological Services, LLC owns and operates the 1,188-acre Pensacola Bay Mitigation Bank in Santa Rosa County, Florida. The bank provides wetland mitigation credits in Escambia, Santa Rosa, and Okaloosa Counties. The service area is centered on the Pensacola Bay watershed and encompasses extreme southern portions of the Escambia River and Blackwater River watersheds. The bank was approved in 2011 and is in good standing with the U.S. Army Corps of Engineers and the Florida Department of Environmental Protection. Westervelt Ecological Services, LLC owns and operates the 1,450-acre St. Marks Mitigation Bank. The bank provides wetland mitigation credits in the St. Marks River basin, which includes Jefferson, Leon, and Wakulla Counties. The bank was approved in 2011 and is in good standing with the U.S. Army Corps of Engineers and the Florida Department of Environmental Protection. Tampa Bay Mitigation, LLC owns and operates the Tampa Bay Mitigation Bank on a tract of land in Hillsborough County, Florida that consists of 161 acres. Our bank sells estuarine and freshwater wetland credits in all or parts of these counties: Hillsborough, Manatee, Pinellas, and Pasco. We provide wetlands mitigation credits for the U.S. Army Corps of Engineers, Southwest Florida Water Management District, Florida Department of Environmental Protection, and Hillsborough County Environmental Protection Commission. Service area consists of the Tampa Bay Basin and surrounding areas and includes Tampa, St. Petersburg, Clearwater, Brandon, and Bradenton. The Lake Wales Ridge Conservation Bank is a 363.5 acre conservation area established to provide compensatory mitigation for the federally threatened sand skink and blue-tailed mole skink (skinks) located on the Lake Wales Ridge. The Bank consists of scrub, sandhill, and scrubby flatwoods habitats interspersed with freshwater marshes and wet prairies. The Lake Wales Ridge Conservation Bank has sand skink and blue-tailed mole skink (skink) credits approved by the U.S. Fish and Wildlife Service. The Bank will have Service-approved Florida scrub-jay credits. In addition, the Bank will soon be approved by the Florida Fish and Wildlife Conservation Commission as a Gopher Tortoise recipient site. The Upper Coastal Mitigation Bank is a 149 acre wetland restoration project located in Citrus County, Florida. Together with the Old Florida Mitigation Bank, the Upper Coastal Mitigation Bank provides state and federally approved freshwater forested and non-forested wetland credits throughout the Crystal-Pithlachascotee subbasin (HUC 03100207). The Wekiva River Mitigation Bank is located in Lake County, Florida within the Wekiva River nested hydrologic basin. WRMB was permitted by the Florida Department of Environmental Protection and the US Army Corps of Engineers and offers both State and Federal Freshwater UMAM credits. The WRMB service area includes portions of Orange, Lake, Volusia, Seminole, Marion and Putnam Counties. The 1,650 acre Bank is regionally significant as it serves as a headwater and tributary flow link to the Rock Springs Run, and provides natural corridors for the Florida Black Bear (Ursus americanus floridanus). Southern States Land & Timber manages three wetland mitigation banks and three conservation banks in the central Florida region. Environmental Consulting & Design, Inc.
Mechanik Nuccio Hearne & Wester, P. A. 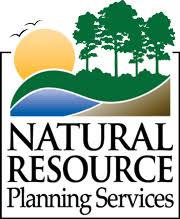 Natural Resource Planning Services, Inc. The Mitigation Banking Group, Inc.